Do you have hip pain, neck pain or low back pain ? Now there is a new technology with is the ATM Concept. The ATM CONCEPT: Pain elimination during the session 50%-100% lasting pain relief and/or increase in pain-free ROM immediately after the session AND IS LONG LASTING Suitable for almost all common Back, Neck, Shoulder, Knee, Pelvis, and Hip pain patients a NEW ACTIVE APPROACH FOR MANAGING DISORDERS THAT INVOLVE A PAINFUL MOVEMENT OR LOSS OF RANGE OF MOTION. The ATM® (Active Therapeutic Movement) Concept provides clinicians the practical ability to perform integrated passive and active therapy for musculoskeletal disorders. This approach aims to normalize movement impairments that are related to the patients’ complaints, as detected in the functional examination. Using this approach, reevaluation is constantly monitored while the technique is performed to ensure a symptom free environment. 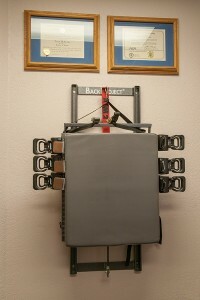 Body areas are mobilized until pain is eliminated.